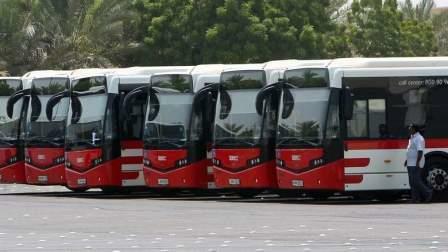 A new RTA bus line will be instated in conjunction with the UAE's new amnesty scheme which will come into effect on Wednesday, August 1. This is according to Brigadier General Khalaf Al Ghaith, Director General Assistant of Follow-up Sector of Violators and Foreigners in Dubai, amongst other details revealed during a press conference held at Al Awir on Sunday. The amnesty initiative "Protect Yourself by Modifying Your Status" targets individuals who entered the UAE by legal means but have overstayed their visa or residency permits. Such cases can avail of the amnesty period - which will end on October 31 - to rectify their status or exit the country without a ban. In line with the new amnesty scheme, Major General Mohammad Al Marri, General Director, General Directorate of Residency and Foreigners Affairs - Dubai, assured the media that: "Amnesty is a gift from the UAE government to the people." This would be the third such amnesty under the current GDRFA director, who enthused, "We need the help of the media to spread the word." When asked about applicants from other emirates, the director asserted that even though the Al Awir centre is devoted to applicants residing in Dubai, they will not turn away those who come seeking their assistance. Applicants should bring their Emirates IDs and passports. "These people are not working for themselves alone. They are humans, people who happened to be staying illegally here. They are not criminals." The director also promised daily reports will be sent to the media so long as the privacy and confidential details of the persons involved is maintained. A tour of the Al Awir facilities revealed several booths already set up in one tent, with the other tent's arrangements appear to be nearing completion. On the 6-month temporary visa, Al Ghaith revealed that priority will be given for employment from this pool of applicants at the virtual labour market after registering with the Ministry of Human Resources and Emiratisation website. If in this six month period they didn't find work and rectify their status, they must exit the country. "We take pleasure in serving people," he said, adding that an open meeting was held with the consulate generals on the matter. Those who do not leave the country after receiving the exit permit in 21 days time will be considered ineligible for the amnesty scheme and all fines will be reinstated. Cooperation with the initiative comes from Dubai Police, juvenile protection, the Ministry of Human Resources and Emiratisation (Mohre), National Ambulance, Civil Defense, RTA, Dubai Municipality.